"Global Britain has already happened and it happened through the EU not through nuclear bombs and nuclear submarines .... Brexit is a lose-lose so you cannot make a success of it"
Well, it could be worse. We could be Belgian. So, the Globalists think they've won. We'll see. Globalists - Committed to global government, a world-wide constitution and harmonisation of laws and standards, open borders, the primacy of global economic activity, worldwide legal, judicial and justice systems, abrogation of personal freedoms to a class of unelected appointed experts who will act in the general good, the growth of the 'citizen of everywhere', the rule of benign technocracy over 'old fashioned' democracy, the supremacy of supranational State authorities – EU, UN, IMF. just wanted to drop you a short note in advance of the concert in Dublin. I understand you are staying in the Merrion Hotel which is just across the street from my office in Government Buildings. 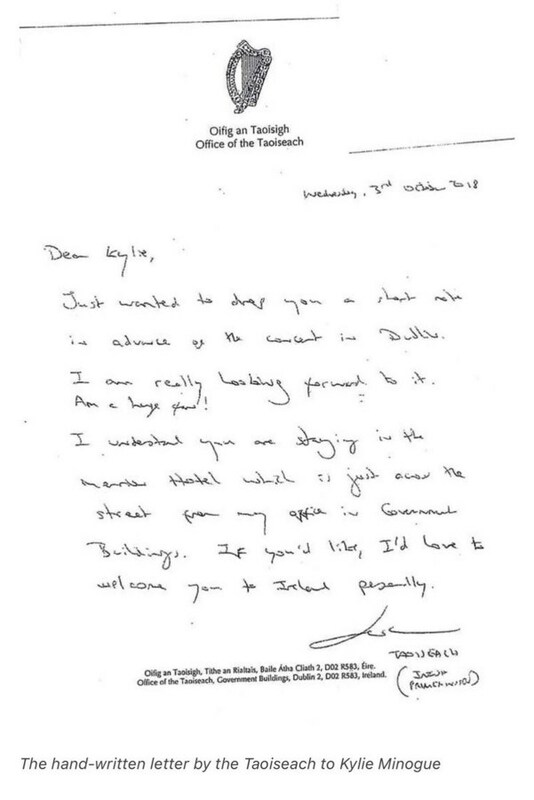 Now journalists want to see a letter he wrote to Melania Trump - but the Teasack's officials, wary of more cringemaking gushing being revealed, are so far refusing an Irish FOI request on grounds that it deals with 'International Relations'. How wonderful you looked today! How do you get your hair like that? You must tell me your secret. In fact, we should be besties and share all our secrets - I do a thing with yoghurt and cucumber peel which is very good for the private places! I loved your shoes - I could die for the chance of Manolo Blahviks like that, with the cute little bows! Further requests are to be submitted for copies of the Teasack's letters to Beyonce, Lady Gaga and the blond boy from 'Talent'. I have commented before on a deeply protectionist, almost corrupt, culture of business in the EU that appears to offer advantages but in reality strangles innovation, stifles growth and deepens a sclerotic inefficiency that costs jobs. My old example was hairdressers; here a hairdresser must serve a three-year aprenticeship before she can pick up the scissors, whilst in the UK a 16 year old straight from school can hang her shingle without hindrance and get creative with hair. The result is that most women here look like their hair is styled by a Soviet camp tonsorist from a 1950s gulag, whilst Brit girls pioneer the world's most fashionable and glam hairstyles. Over the Easter weekend I recalled another. I've known about this for three years but for some reason haven't written of it; it is the network of 'business only' suppliers here. It's the way in which buyers in these nations are forced to engage professional tradespersons by restricting or preventing other means of carrying out the work. Many firms simply won't deal with you unless you have a business registration number. There is no equivalent to UK Builders' Merchants for example - just the DIY stores or the 'profi' wholesalers. One can't buy glass at €8/m2 in stock pieces to cut yourself but must order each pane in a finished size at €35/m2 from a glass retailer. You can't have a palette of bags of mortar delivered next day or buy rolls of building membrane except at consumer prices. There are ways round it for some things - Germans are slightly less constipated than Austrians, and consequently it's been cheaper, including transport cost, to order bulk plasterboard and insulation from Northern Germany than from the local stockists of the same-brand material down the road. It's always worth searching .pl and .si sites as both Poland and Slovenia sometimes carry German and Austrian made materials at a substantial discount. The most absurd result of local protectionism is Travertine. I'm tiling the new bathrooms in Travertine stone tiles, quarried and cut in Italy, just to the south. You'd think they'd be cheap, then; wrong. You can't buy them for under €65/m2 anywhere here - but I can buy the same tiles from the UK for €22/m2. The transport costs were exactly the same. Now explain to me how it's cheaper to truck stone from Italy to the UK and back to Austria than direct to Austria? Over the weekend I needed to order some German Häfele ironmongery for a project - you may know the name, we use it widely in the UK. No chance. Häfele only sell to the trade - and helpfully offer to put you in touch with a local profi to do the work for you. They even make their buyers sign a declaration to promise they won't resell the Häfele kit. Well, you won't be surprised that all of these restrictive practices are unlawful in England - not illegal, but contrary to Common Law. Contracts in restraint of trade are unenforceable. My hinges are available here on the grey market for €24 a pair; I've ordered them openly from Birmingham, from a trade supplier, at £9 a pair and will have them within a week. It's a small thing perhaps, but an irritating barrier to economic freedom. It's one of the reasons for the zero VAT threshold here - you're either a tradesman or you're not, with no room for the sub-threshold activity we have in the UK. 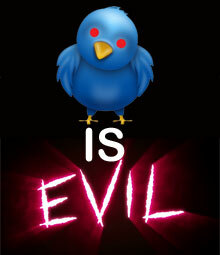 But it will kill them - it's a system that can only work in the absence of the internet. Readers may recall we don't have much time for Eco-hypocrisy and virtue signalling; back on 2017 we pointed out that Bloomberg's much acclaimed 'greenest ever' building actually cost around 250,000 tonnes of CO2 to build - a Carbon cost that will NEVER be repaid by energy-efficient plant over the building's entire life. It will be demolished as it stands - a vanity project, a rich man's virtue signalling, and a huge Carbon cost. Well, another Eco-liar, it emerges is Attenborough. 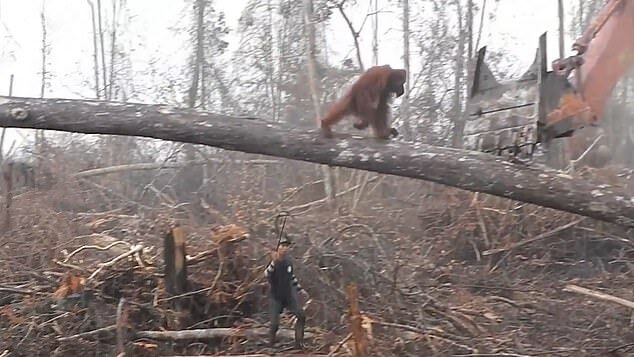 many viewers will have seen his heartbreaking footage of an Orang Utan attacking the backhoe that had destroyed its home. 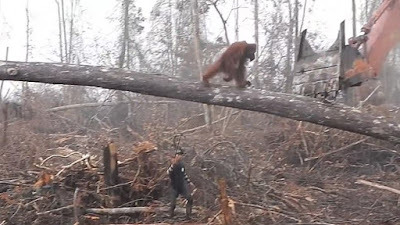 As the Daily Remain writes, these forests are cleared and replanted with Palm Oil plantations to satisfy the European market for 'clean' 'sustainable' and 'environmentally friendly' biofuels. He didn't tell you that, did he? CHRIST IS RISEN! Happy Easter All. Nowhere else in the world would such an unconscionable delay be tolerated. No advanced democracy in the world would permit this travesty of governance, this denial of a voice to the 17.4 million who won, to continue. Tragically, the Remainers, in refusing so aggressively to accept a clear democratic majority, have inflamed weaker and more barbarous minds to violence. 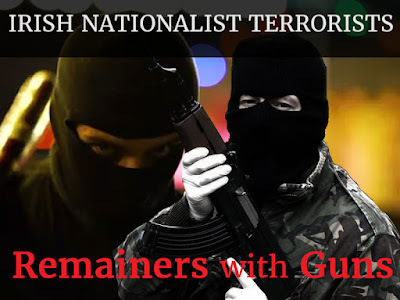 The death of Lyra McKee at the hands of a Remainer 'New IRA' gunman is a new low in our democracy. We will catch and imprison the gunman, but make no mistake - it is the mass of bien-pensant Brexit Deniers, our betrayer MPs who have blocked Brexit, May's toxic Remainer government and our poisonous Remainer media who were equally responsible for pulling the trigger. For them there will be no forgiveness. I was chatting on the phone last night to a London chum after I had accidentally caught the Conservative election broadcast transmitted just before the ITV evening news. I found it extraordinary that the thing had featured May at all - but half way through, there she was. There was no escaping the most loathed woman in Britain. I suspect about half the ITV audience flicked channels at this point. I mentioned this in passing on the phone later - to be told "Don't! The idiots have just cost us another million votes". 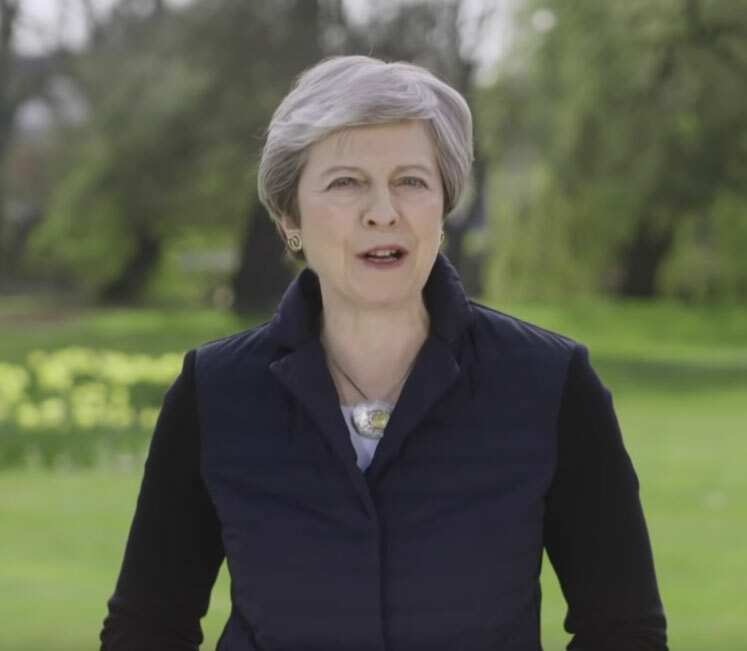 As the Telegraph reports today, Conservative canvassers out on the knock have been trying to pretend that Toxic May isn't the leader of the Conservative Party and that she hasn't completely screwed up Brexit. They have been met by angry shouty Tory voters either slamming the door in their faces or venting their anger over the parliamentary and government sabotage of Brexit. For anyone who missed it, the misjudged May broadcast is HERE. I won't embed it. 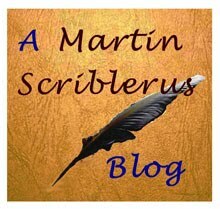 There's some content for which we won't give blog-space. I think the difference between these local elections and the Euros is that for the former, Conservative voters are simply going on strike. They will not turn out to vote, far less to campaign or donate. Even if the Labour or LibDem loonies win Councils from us, who cares? Council tax has a legal ceiling (which most English Councils have hit this year) and stuff that Tory voters don't mind paying for - a decent school in their catchment area, pot-hole free roads and a local library - have either gone or can't be made worse by a Marxist administration. For the Euros, they will vote TBP. My guess is that an appalling local government result will galvanise final moves to oust May. I suspect many fellow Conservatives think the same. You really can't blame them. Ian Dury should be compulsory for all those suffering the Brexit Blues. Today very briefly, I offer you Farage achieving top place in the pre-EP opinion polling (which as a loyal Conservative I should deprecate cough cough) and Boris achieving top place in an Express leadership opinion poll. Add to this the spectacle of the self-loving little Sadiq Khan making an utter arse of himself in London trying to get down wiv der yoof (actually most of them went to £45k a year public schools and live in Surrey with Mummy) who in turn are pretending to get down wiv der Man. Enough to make one smile.